This post has been read 1694 times! May 10, 2015- Letter to the Editor by Jim B. 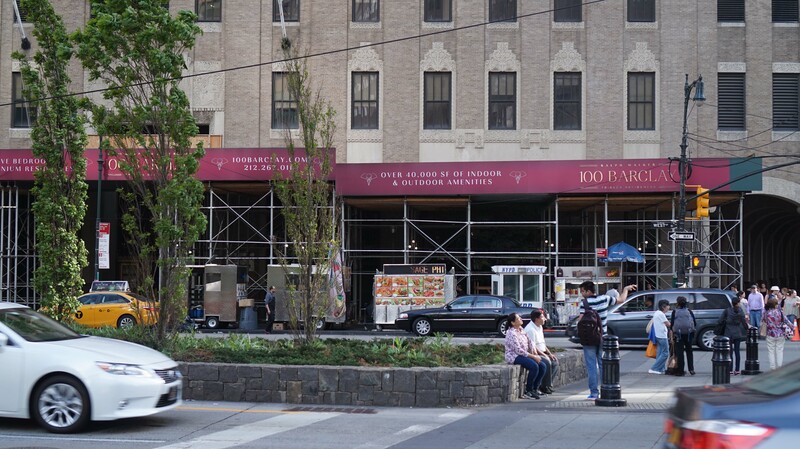 This photo was taken 5-10-15 by the street vendors at the northeast corner of Vesey & West St. 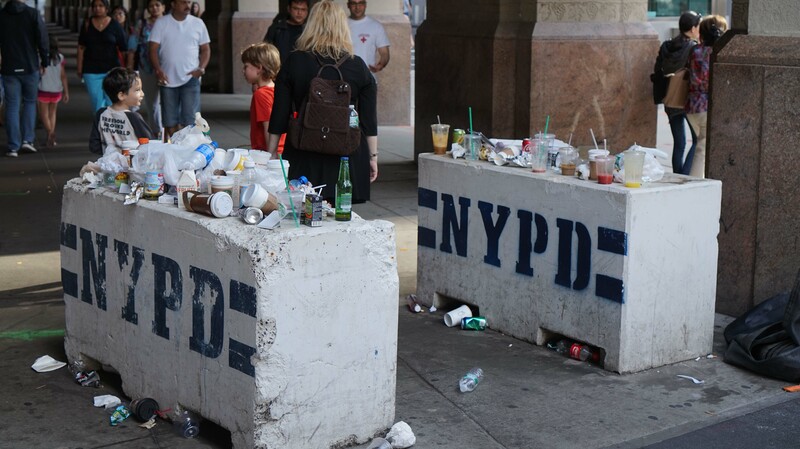 I assume that NYPD has banned refuse cans here due to the proximity to WTC. This is an eyesore ! Editor’s note: There is now a small shanty town of food vendors at this location causing this trash. It is the classic “broken windows” phenomenon. The building scaffolding attracts the food vendors. Then, the ugly food vendors invite people to trash the place even as an NYPD hut is only ten feet away! This entry was posted in - Downtown oversight, - NYPD First Precinct, Battery Park City and BPCA, Financial District, Gripes, Op-Ed, World Trade Center. Bookmark the permalink.